Education is essential when it comes to raise public awareness on the environmental and economic benefits of organic agriculture and agroecology (OA & AE). Organic.Edunet, an EU funded project, aims at providing a freely-available portal where learning contents on OA & AE can be published and accessed through specialized technologies. 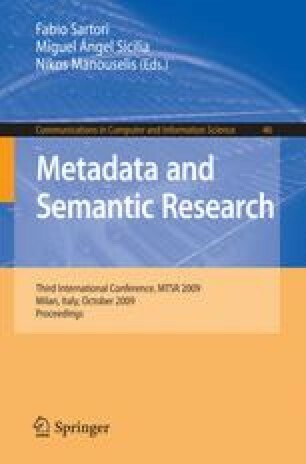 This paper describes a novel mechanism for providing semantic capabilities (such as semantic navigational queries) to an arbitrary set of agricultural learning resources, in the context of the Organic.Edunet initiative.